In “Wait For Me” William Fitzsimmons asks, “Can you wait for me?” If you’ve been waiting too long, catch him at one of his shows along the 2019 Mission Bell North American Tour now! 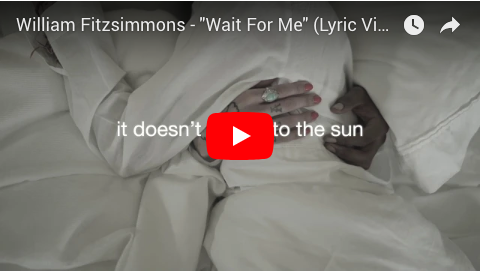 Otherwise, enjoy this beautiful lyric video for “Wait For Me” off William’s latest masterpiece (if we do say so ourselves!) “Mission Bell” HERE.